Twilight Breaking Dawn Team Edward Rubber Bracelet makes it easy to accessorize with supernatural style! Uniquely-crafted bracelet featuring "Team Edward!" Show off your love of Twilight with the Twilight Breaking Dawn Team Edward Solid Rubber Bracelet! 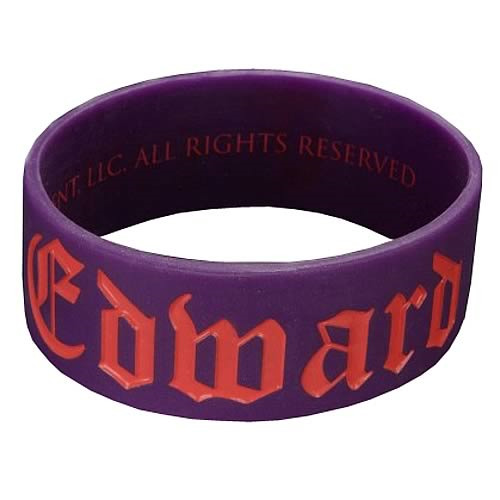 This bracelet features the "Team Edward" logo on a solid purple background! Choose your side and order yours today! Ages 14 and up.